I’m an on again off again macOS / OSX user. This started off at some point as a blog post, but its grown into more of a living page of the programs I install when on macOS / OSX. Lets say you have data on a remote linux machine, and for what ever reason you need to format the drive. Like for instance you decide to switch VPS hosts. If you just let them delete it, you have no way of knowing what really happens to your data. So providing you have ssh access here is a way to eliminate your data. I’ve found my self on occasion needing to find the public IP of a machine while in commandline(CLI). Most of the time its just because i’ve spoiled my self with DNS entries, and haven’t memorized it. 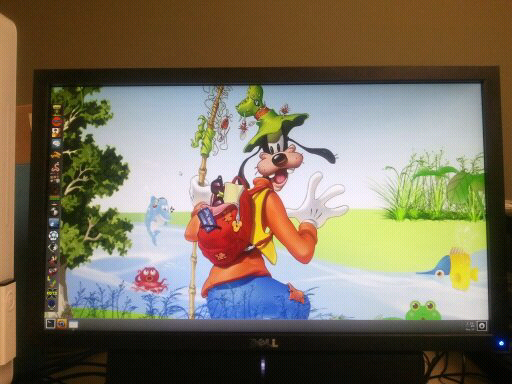 I was assigned the task of creating a children’s linux distro for use here at the library. Here’s a sneak peak. Put together a script to keep your ip updated for the tunnel. This is for Hurricane Electric. Just plug in your info from your tunnel info page. With ICANN recently announcing the end of IPv4 addresses to allocate, its time to take a look at the future. IP Version 6. Replacement for IPv4. A next generation IP protocol. IPv6 is backward compatible with and is designed to fix the shortcomings of IPv4, such as data security and maximum number of user addresses. IPv6 increases the address space from 32 to 128 bits, providing for an unlimited number of networks and systems. It also supports quality of service (QoS) parameters for real-time audio and video. About a month ago at work we started a project internally known as Project Opacity. A while back I posted about building a quad core system. In the post I discussed virtualization, and building a dedicated machine for hosting virtual machines. Following that, I posted about actually building that machine. In it I mentioned installing Xenserver. I have no doubt that it is amazing. Just wasn’t exactly what I had in mind. Long story cut extremely short, I went with virtualbox. Reasons being: Its fast, so far has supported everything I throw at it, stable, cross platform, live migration, snapshots make backup easy, easy to use, and I like it. Now for the exciting part. How I set it up. 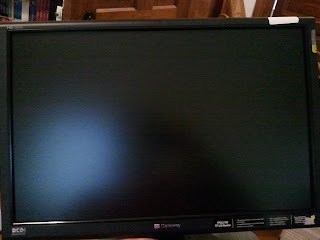 A few days ago I found a 22” Lcd screen that was being tossed out because it didn’t work. The thought of the beauty being thrown away didn’t set well with me. So I picked it up. When turning it on, it would show its gateway logo and then go blank. Which was a good sign. But none of the inputs worked. So I took it apart. Well after much waiting, I have officially built my first computer from scratch. Before this, any computer built was pieced together from parts laying around. This one was completely hand picked.